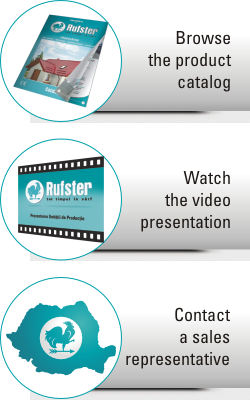 RUFSTER has a flexible production program which can easily be adapted to carry out every order. The metal roof tile can be manufactured at two module lengths and the panels can be delivered at any length required. The RUFSTER metal roof tile and trapezoidal sheet panels are cut, according to each project, at the optimal lengths for an easy installation and as less surplus material as possible. The different panel lengths can be combined in order to cover any roof of facade height. In the following tables you will find the standard production panel lengths. For special projects we can deliver even longer panels but you must keep in mind that the longer they are the harder it is to transport and install them.